Kowa’s new HC-V series is made for use in high vibration and high shock environments. With a design based on Kowa’s standard 1 inch HC lenses this ruggedized megapixel lens series is ideal for applications that require increased durability and high optical performance. All internal glass elements of this series are glued. 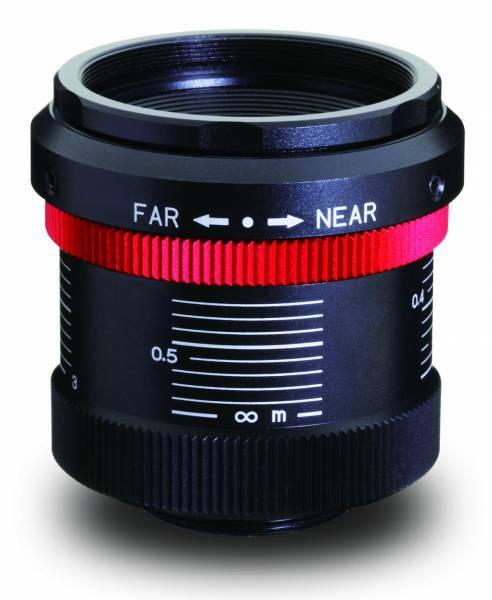 A two way reversible nut is utilized to tightly lock the focus adjustment ring in place. Interchangeable iris plates which can be glued are used to select the F-stop.